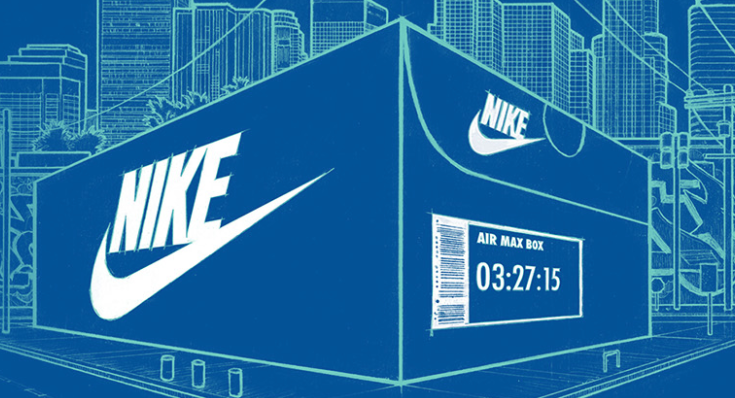 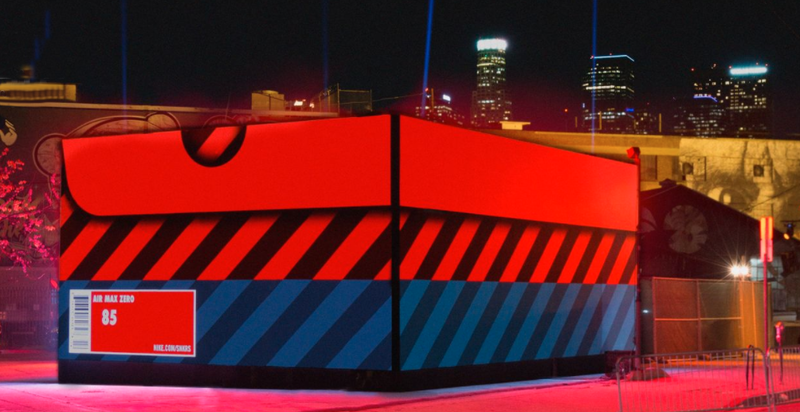 Tomorrow, Saturday, March 28, is the last day to enjoy Nike’s Air Max Box pop up at 735 East 3rd Street in LA’s Arts District. 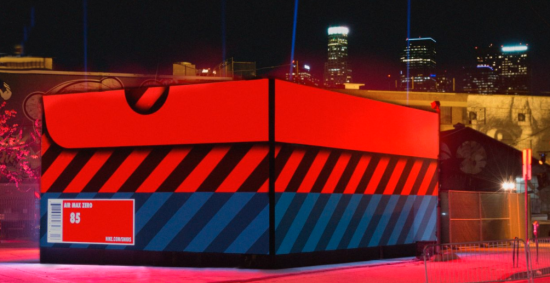 The installation, inspired by one of the company’s shoe boxes and designed to show off the brand’s Air Max Zero, is covered with an array of LED displays, projecting kinetic Nike-related graphics. 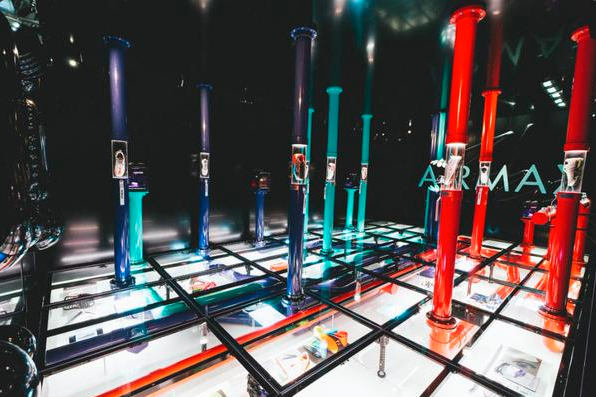 You can even walk inside if you make a reservation, checking out shoes (some viewable under a glass floor, others suspended in what look like pneumatic tubes), and getting a look at working sketches from some of the company’s top designers.